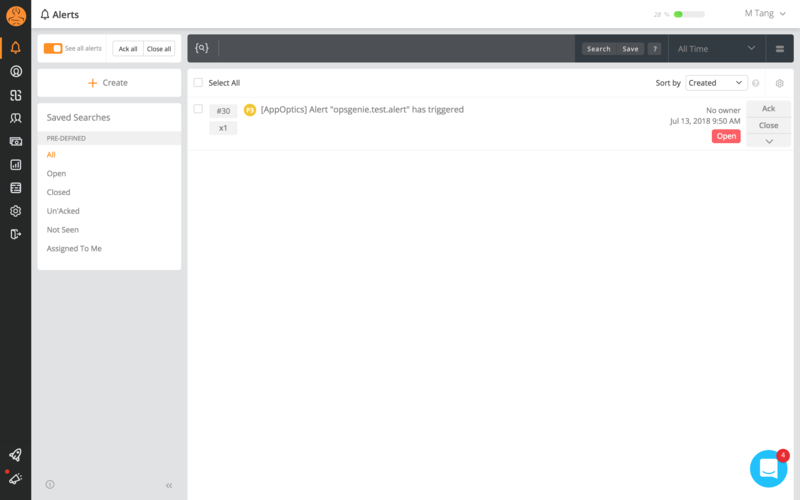 With OpsGenie, you can receive alert notifications via email, SMS, mobile push, or phone call. You can then manage the alert life cycle (acknowledge, take/assign ownership, close, etc) through the OpsGenie web UX or using their mobile device app. In your OpsGenie account go to the OpsGenie AppOptics Integration page. 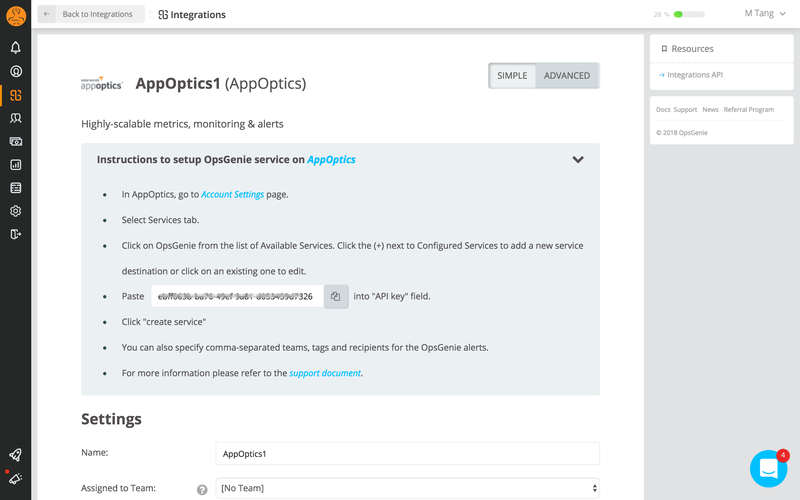 Specify who is notified of AppOptics alerts using the Teams field. Auto-complete suggestions are provided as you type. Copy the integration API Key. This is used in the AppOptics configuration. With your OpsGenie information in hand, navigate to the “Organization Details” section and choose the Notification Services tab. 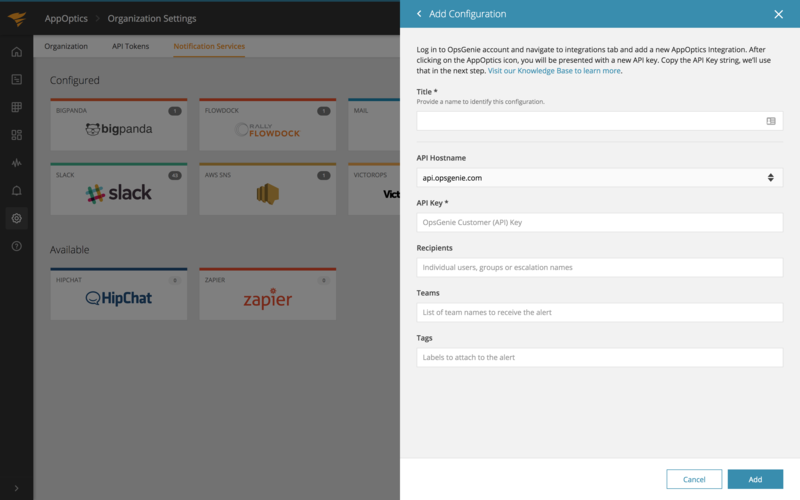 Click on the OpsGenie integration, then on the “Add Configuration” button. Title: Give the service destination a name. API Hostname: Hostname for US or Europe. API Key: The API Key you copied from OpsGenie (REQUIRED). After setting up the service you can tie alerts to a service destination. 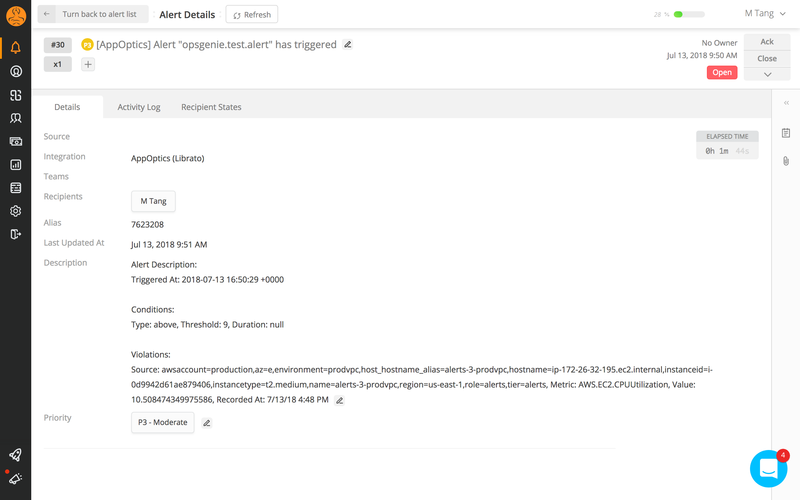 You can read more about creating alerts in the Alerts knowledge base article. When an alert fires the payload is sent to OpsGenie.